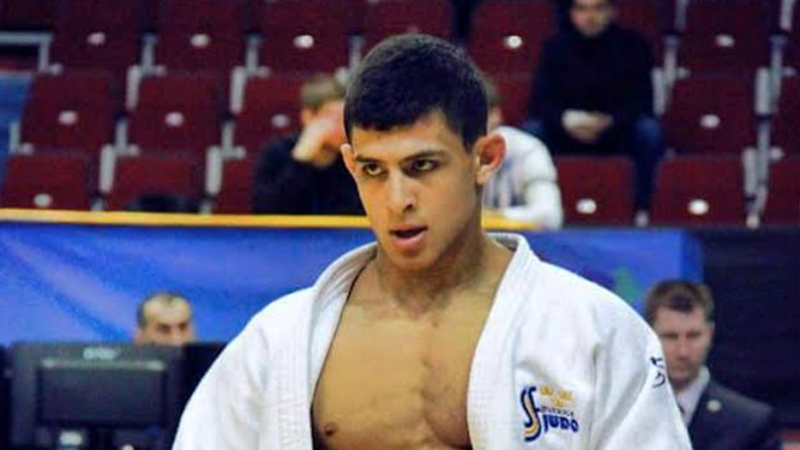 Moustafa Abu Ramadan is an active high level judoka with one clear goal. Namely to be at the top of the podium at the 2020 Olympics in Tokyo. Despite the highs and lows he does not give up until he has done his very best. Moustafa inspire not only the curious audience around the mat, but also the younger Swedish judokas with dreams of competition. 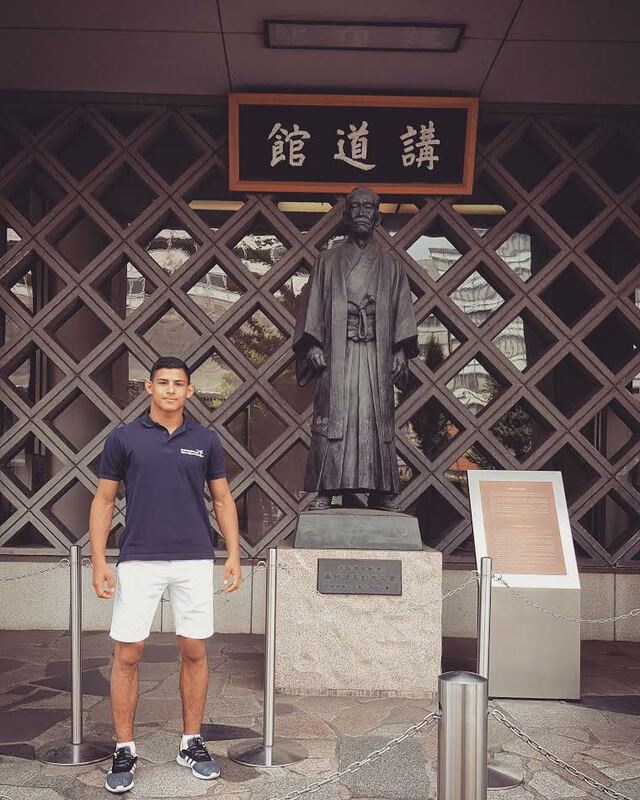 Here you can read about this former karate guy that caught the eye of judo in the room next door, and his thoughts and experiences so far. How did you come in contact with judo? I first started practicing karate at the age of 7. Usually, I was at the club an hour early, during this hour they trained judo next door . With time, I started to interest me more and more of what they were doing in there on the judo mat. At the age of 9, I could then no longer inhibit myself from switching over completely from karate to that judo club. In which club did you start practicing judo? 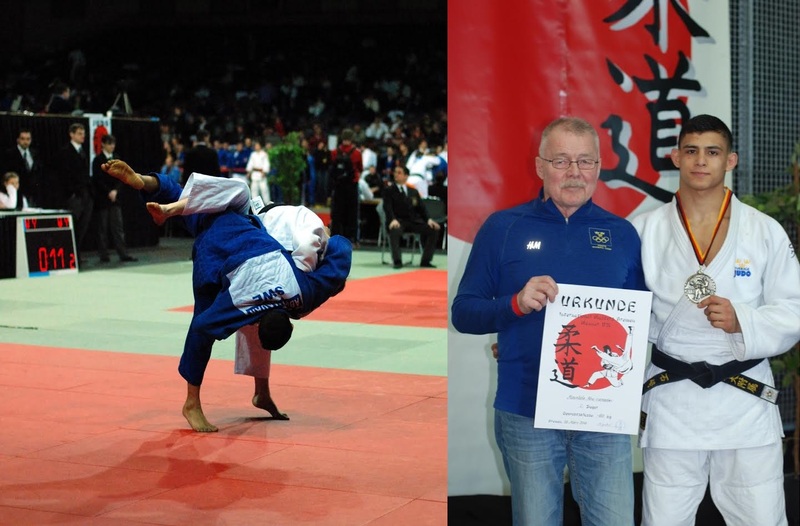 In spring 2006 i started to practice first in Helsingborgs Judo Club. Years later i changed to my current club Kaisho Martial Arts. The change occurred as a result of the Kaisho club being in the same building as my sports-oriented school program in Helsingborg. Do you have siblings or family who also practicing judo? My two older sisters started at the same time as me. Unfortunately, they dropped out in their teens a few years later. A few years after that my youngest brother Amgad started practicing judo, and is now today one of my devoted training partners besides Toy Thinnok from the same club. When did you first compete? My first competition i got to experience was a club championship the year after I started with judo. There i got to experience losing against one of my sisters and was left without a medal. Clearly it would have been more fun if I had won a medal like my siblings, but I’ll never forget the competetive sensation that sneaked up on me the night before. Even today my sister reminds me of her victory over me in this game with a teasing smile. But i believe that it would be reversed roles in today in the current situation. Which judo memory is your favorite? It was when I managed to get a silver medal at Bremen Open in Germany last year. That competition day started out very stressful for me when I discovered that I had a little too tight judogi with me for the competition . Luckily, I had an extra judogi, but that one was at my hotelroom about 1 km away from the stadium. Although i had to get up and compete within 25 minutes, I sent my friend Johan Lövehed to try to fetch my other judogi in time. Johan luckily got back just before my first match. Despite a stressful start i did good anyway with six wins and one defeat in the final. A stressful day of competition ended up positively with a silver medal. Which medal are you most proud of? For me, every medal counts. They are all unique and special in their own way, because all of them has an interesting background story. Do we dare to ask if you have any other interests besides judo? To complete my ne waza skills I also train Brazilian Jujutsu. It’s both really fun and something I can recommend to others who also are competing in judo. What’s the best with Judo? For me it’s the judo values. That’s not just something that you only apply on the judo mat, but also in time it becomes a lifestyle and philosophy. I think that’s the amazing thing about judo, just to live up to that. What is your favorite technique right now? Well I would say at first the technique Seoi Nage, but Uchi Mata has been and will always be my favorite technique. Which Elite judoka do you look up to? The elite judoka I mainly look up to is Lee Won Hee from South Korea in the -73 kg category! One of his greatest medals is the gold medal from the Olympics in Athens in 2004. In the summer of 2016, you received a setback in the form of a muscle injury. How did that happened? We were on a so-called small judo tour in Europe. Everything rolled really good on camps until after the European Cup in the Czech Republic. Until the last randori on the first training day. When I tried to counterattack a Koshi Guruma with a Ura Nage, I the landed awkwardly on my arm with a bang. The physiotherapist on camp looked at my arm, but thought it was just a small tear in my chest muscle. He tried to talk me out of continue randori the rest of the camp, because it was too close to my next competition of the European Cup in Berlin a few days later. Which was also my last qualifying game before my last coming Junior Championship. I followed his advice that day. When Friday came and I was in my right weight I took the opportunity to weigh in. Together with my coach, we decided to take one step at a time, match by match in relation to my injury and see how it went. The injury turned out to be in check and I ended up with four wins and two losses that became a 7th place for me. Which we both thought was well accepted during to the circumstances. Three days later, the plan was that I would be on a flight to Japan for three weeks of training to get a last good workout before my last Junior Championship. Luckily I made an ultrasound before departure but they didn’t see much of my real injury because of a muscle bleeding. The doctor still thought I could go to Japan and work out if I trained strategically. The actual training in Japan went great. After returning from Japan I wanted to have a magnetic X-ray to see more specifically how it really was with my muscle injury. And not until then we found out that the muscle was actually completely torn of its attachment. The week after that in the last fall, I was operated, and here I am now in the middle of rehabilitation and will soon be back on track again. Which competition is the closest right now where you are going to compete? Possibly a bondeslige (team competition) in may along with my German club Sindelfingen, but it all depends if my muscle stays in place. What age category and weight class do you compete in at the moment? In 2016 I made my last year as a junior in the Swedish national team. During 2017, it’s my first year as a senior and I am going to continue competing in the weight category -66 kg. What are your plans / goals for year 2017? As I got my muscle injury in 2016, this has resulted in a long rehabilitation period of about three months’ absence just from pure judo training. Therefore, my plan in 2017 is mainly to get back to my previous competing shape and then be schooled in the my new senior category. Do you have any specific Judo dreams that you want to achieve? My ultimate goal is to be on the podium in the 2020 Tokyo Olympics. Together with my coach and sponsors we work progressively in the best way towards that. Who are your supportive sponsors? As we speak, I have 5 different sponsors. I’m sponsored by Azzam Law Firm, a law firm that works mainly with human law and which are located in Stockholm. The company Budo Nord is one of the largest brands of budo and martial arts products in Scandinavia. K.O Store Helsingborg sponsor me with doping-free supplements that is perfect for my amount of training. Bauerfiend which is a world-leading manufacturer of medical devices. And finally my own club Kaisho Martial Arts Helsingborg who have supported me since the day I started training for them. What is your favorite quote related to judo? “People say repetition makes perfect, but actually it makes permanent” – Neil Adams. What would you like to utter to the Swedish children and young people out there who also have big competitive dreams? My advice is to always try to work hard to fulfill your dreams. You could rather dream and enjoying it in your mind or you can go ahead to make them come true.